When years ago I first heard of intermittent fasting (IF) , the act of voluntarily skipping meals and leave your stomach empty, at first I thought it was insanity! After all haven’t we all been told that we should count calories and never, EVER, skip a meal if we want to lose weight to not slow down our metabolism? It turns out that not only is this false (your metabolism needs many meals/days of insufficient food to slow down) but Intermittent fasting might have a lot of health benefits for you (explained later with links) and is definitely useful for me in terms of productivity and getting work done. Nowadays I skip usually once or twice a week 1-2 meals and go on with my day as usual. A simple way to see how IF helps with weight loss or maintenance is if you skip a meal your body simply goes into your fat reserves and burns calories there instead of panicking and shriveling up. Additionally, along the way the body does a lot of “rejuvenation work” with the resources not allocated to digesting food, as you will see later. The “theory” that later came to explain the studied scientific behavior of our body while under IF is in our hunter gatherer times, we often had periods of famine, meals were not always guaranteed. Our body would not simply shrivel up and act sick because we skipped a meal, in fact most likely those who had a genetic advantage of being focused/healthy when low in food would have survived. Personally, while I have used IF to effortlessly reduce my daily calorie intake once a week (and burn some body fat) I have been far more impressed with the potential health benefits and the additional productivity on days I do IF. Some people call it an intermittent fasting diet, but it is not really a type of diet but rather a way to plan your meals (to mimic not having food all day). It doesn’t tell you the exact food you have to eat during the day but rather it is about eating at only a given period of time like only eating from 2pm to 10pm or 4pm to Midnight. 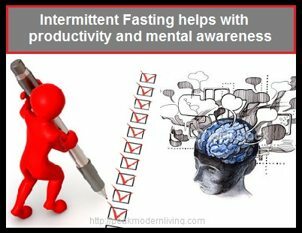 I will cover below 3 methods on how to do Intermittent fasting to lose weight, list some health benefits with sources and finally end with the unintended side effect of how IF helps me with productivity! What is it? 8 hour feeding window, you usually skip your morning meal then end the fast with a workout and a big meal when you have around 8 hours left in your day. So 16 hours of fasting, 8 hours of eating. I first heard about IF many years ago on Martin Berkhan’s blog in order to build muscle while reducing body fat, basically an intermittent fasting bodybuilding protocol. I used his method for many years which involves skipping one meal and basically limiting yourself to an 8 hour feeding window (16 hours, including sleep, under IF). He often cuts the fast with his workout and then goes eat a big meal. In his case, he does not necessarily lower calories, simply juggles them in the 8 hour feeding window with 16 hours of his body burning body fat. Depending on your body type and goals, this could work for you (eating the same amount of calories but only during 8 hours) but for me it was not lowering my (already skinny but not enough to see abs) body fat unless I also restricted a bit my calories (eat less than a usual day. What is it? 8 hour feeding window, but you are allowed some fats (butter/coconut oil/milk + maybe mct oil) with your morning coffee to curb the initial hunger period when you wake up. A little fat does not “stop” IF (unlike protein and carbs which do). While skipping one meal was overall fine I enjoyed IF due to the health benefits I discovered, it was annoying in the morning to fight my hunger for a few hours before getting into the zone. I then discovered bulletproof intermittent fasting in this blog post and I highly recommend it If you find not eating anything too hard when you wake up. This type of IF is basically adding some butter (or some source of healthy fat like coconut milk or oil) to your morning coffee (or tea) alongside some MCT oil to have some initial calories from fat. Eating a bit of fat does not cut into the health benefits of IF, but if your goal is weight loss then you should not overdo the morning fats because for me it was leading me to not lose body fat (to go under 10%) because I was not in a deficit. You can find the recipe of the morning coffee here. The idea is that it will give you stable current of energy throughout the day, optimizes brain function and fat loss with caffeine, and boosts your metabolism up to 12%. The bulletproof fasting recommends the bulletproof diet. You can get a copy of bulletproof diet here which I personally use heavily for my meals. What is it? Instead of skipping 1 meal, skip 2. Basically 24 hours of no eating and you eat a small/normal meal a few hours before bed. After doing IF for a while I noticed how much more productive I can be while not eating and I wanted to create a bigger calorie deficit in my IF days and it was simply easier for me to prolong the fast then to make sure I was eating 2/3 of my normal daily calories or less. So I simply start my day with coffee+ healthy fats from #2, and skip 2 meals and eat around 24 hours after last night’s meal. So if I ate my last meal at 8pm and went to bed at midnight, I fast the next day until around 8pm again. I personally love it this way but it is something you have to try for yourself! 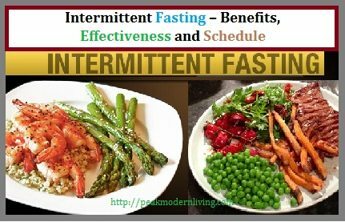 On to the Health Benefits of Intermittent Fasting! It normalizes the insulin and leptin sensitivity as well as boost mitochondrial energy efficiency. Intermittent fasting impacts insulin sensitivity which makes the body use fat as a primary source of energy instead of sugar. It also helps you gain more muscle weight when you do overeat after a big workout. It normalizes the levels of Ghrelin. It is a substance that our body produces known as the hunger hormone. It is responsible for regulating hunger and distribution and rate of use of energy. It promotes production of human growth hormone (HGH). A study shows that fasting can raise HGH by as much as 2,000 percent in men and 1,300 percent in women. HGH plays an important part in health and helps slow the aging process. HGH is also a fat-burning hormone that makes intermittent fasting results work for weight loss. It lowers triglyceride levels and improves other biomarkers of disease. According to Peter Bowes, clinical tests showed that during the intermittent fasting he did, his systolic blood pressure dropped about 10% while his diastolic remained the same. It reduces oxidative stress. By doing intermittent fasting, it decreases the accumulation of oxidative free radicals in your cells, which in return prevents damage to cells. It triggers cell regeneration and fights cancer. 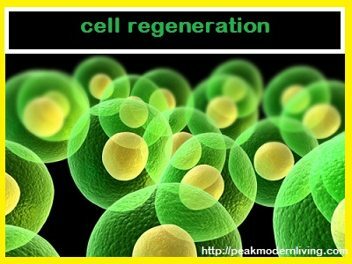 A study from University of California concluded that fasting shifts stem cells from a dormant state to a state of self-renewal. Fasting also reduces the PKA enzymes that has been linked to aging, tumor progression and cancer. UPDATE: Also this new study on prolonged fasting (2-4 days) seems to heavily support the idea that long fasting is beneficial differently than 18-24 hour fasts which is what I do most of the time right now. After reading this study and also hearing about other people finding your state of mind to change dramatically after the first 2 days of a fast to some “extreme mental clarity” state I will test it out as well, it seems the health benefits and productivity benefits might be significant. Here’s a video by Dr. Mercola about the benefits of intermittent fasting, which I think quickly sums up the basics of IF and why to do it. I discovered an unintended side effect while under IF for productivity, especially for completing a “to do list” for my day (set up this appointment, go there, buy X etc.) 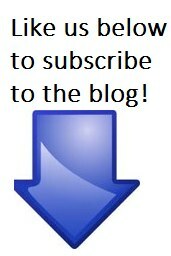 or work for my online business (make an advertisement for Y, create a web page for X, write a blog post). I was extremely productive when doing IF and wanted to extend those hours so I started skipping 2 meals a day and only eating 1 normal sized meal in the last 3-5 hours before bed (almost a 24 hour fast). Simply put, IF changes my mental awareness, almost like a drug, to be hyper focused on work (or video games, reading etc.) as long as I make an effort to initiate it. I then completely forget about food. I do enjoy drinking a lot of coffee and tea (no sugar or milk) during the day however to keep my stomach full, I only put a bit of healthy fat in the first drink. As a side note, intermittent fasting for women might be a problem for some depending on your goals (having a baby soon? famine might signal you to be less fertile according to this post by Dave Asprey…). As a male I definitely have had no noticeable problems, besides feeling a bit less like going to social events (I feel more serious and wanting “to do things”) hence why I save it for planned work days when possible. In conclusion I love IF and I was recently reading a book by Nassim Taleb called antifragile which (very) basically is about how some things (such as biological beings like humans) gain from random events that seemingly sometimes look bad. Our body tends to overcompensate from bad events such as ripping muscle tissue at the gym by creating even more and making them stronger. The idea applies to intermittent fasting, by constantly being well fed we are destroying our bodies “recycling” mechanism while low on food and when not busy with heavy digestion. Giving it a stress signal such as low/no food is around can be beneficial in the long term with our body overcompensating to make us stronger and healthier, which is easy to see when looking at the list of health benefits shown above! This entry was posted in General Health Experiments and tagged how to do intermittent fasting, intermittent fasting, intermittent fasting weight loss by Alex. Bookmark the permalink.